I have been meaning to get to Silo and its small plates/bar little sister Nosh for oh, well, forever. Cue the heroic Zeus and Demeter who, very kindly, took little Cherub to see Yo Gabba Gabba Live. We are, after all, a rock and roll kind of family. It’s lovely to have lots time. We ordered started early with the cocktail menu and then ordered several times at a leisurely pace from the shared plates section of the menu. Nosh turned out to be everything I kind of hoped for: creative, local flavors with a bit of comfort thrown in. It makes you realize that San Antonio is not all bar-b-que and enchiladas. (Not that there’s anything wrong with that. I will be having and posting about both in the next few days, to be sure.) Nosh is a perfect spot to hit if you’re a foodie from out-of-town. 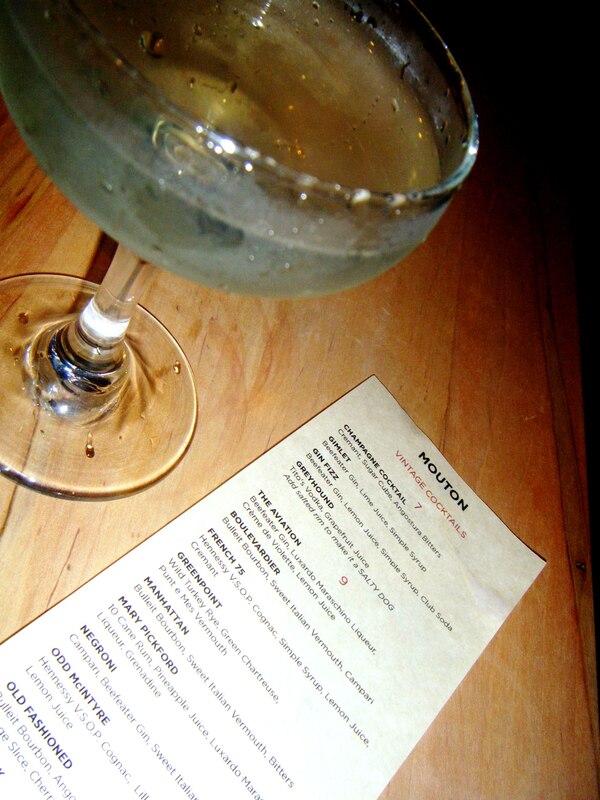 It’s not far from Alamo Heights and the McNay, it’s got a decent happy hour and a creative cocktail menu. I love Nosh’s concept of a flight of cocktails. Especially if several are looking alluring. Which they managed to do pretty easily. The service is thoughtful and eager without being intrusive. We will certainly be back again next time we’re in town, and if we lived here, it’d be a regular favorite. Mouton, that swanky little bar in the Short North, tempted me with this vintage cocktail. Arsenic & Old Lace: Gin, Pernod, Creme de Violette, Vermouth, Orange Bitters. 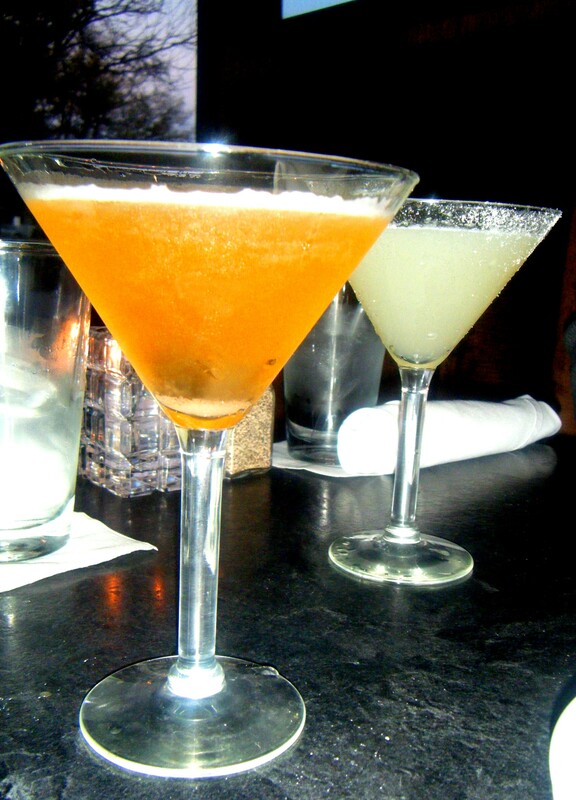 The perfect, strong happy hour libation. Happy Thursday. Playlist included Time to Pretend, by MGMT. Maia and I enjoyed cocktails and dinner at The Rossi tonight. Maia is rather worldly and has been just about everywhere in this fair city of ours. I love that about her. She can order with the pros. I started with a Ohio Apple Pie cocktail with some Brothers Drake mead because I just recently tasted all their fall releases. The Rossi is one of the swanky places that carries this fine stuff. Nicolene, the creative barkeep at Rossi, pairs Brothers Drake Apple Pie mead with another local libation, OYO vodka, and finishes it off with a garnish of cinnamon and sugar. Really nice pairing. Maia had the Fletcher and Bligh with Ten Cane rum, key lime juice, some maraschino liqueur. The beautifully presented martini glass is kissed with vanilla bean sugar and looks like a frosted winter present, albeit one of delicious alcohol. 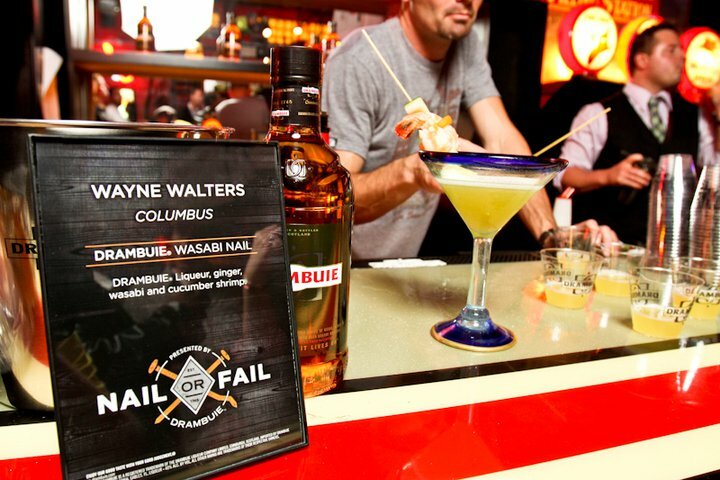 The oh-so-talented and ever-so-cool Ely Brothers extended an invite to the recent Nail or Fail event for Drambuie at Garage Bar. The event pitted bartenders from across Columbus in the battle for the best reimagined Rusty Nail. PK voted for Wayne Walters of Park Street Cantina with his Wasabi Nail. I loved this because it was part cocktail, part appetizer. Genius. He was kind enough to share his recipe with me. And I’m kind enough to share it with you, too. 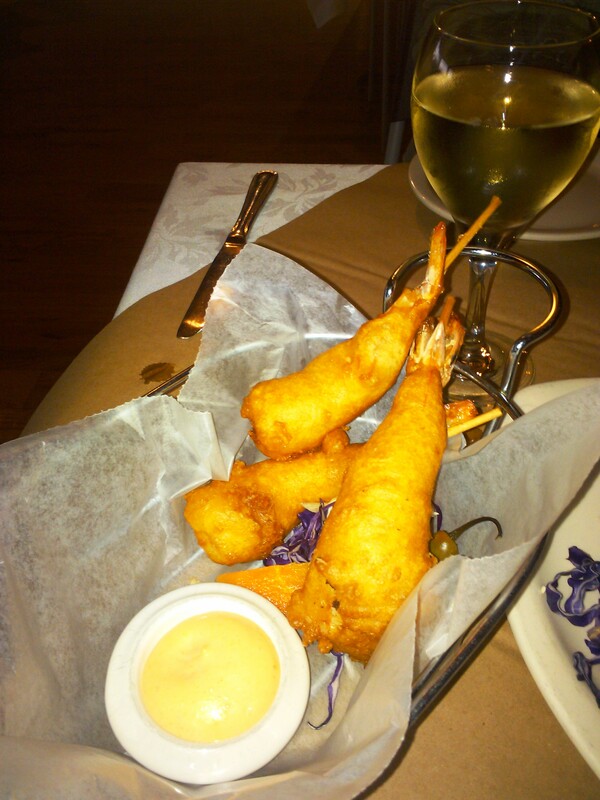 Shake with ice, pour in a martini glass, garnish with a sliver of wasabi marinated carrot and a skewer of shrimp. Playlist, thanks to the super-cool DJ, included my personal going-out favorite New in Town, by Little Boots. To view the rest of the Ely Brothers’ event pics, click here. 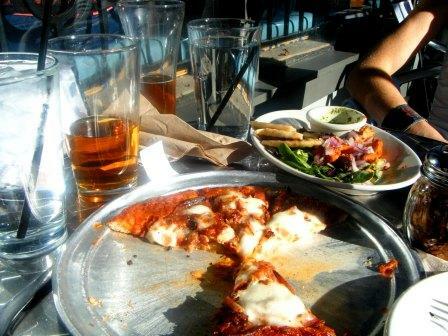 Extra Meaty Pizza, Chicken Tikka and my new favorite beer: Kentucky Bourbon Barrel Ale. Oh. So. Good! I adore my Hades, my husband. He gifted me an evening out, managing Cherub at home. A job in and of itself. I enjoyed an evening out with fellow Goddess Artemis at Bodega. Awesome bar nibbles. Yes, yes, I know you know about $1 grilled cheese on Mondays. But what about their Chicken Tikka small plate or their All Meat Pizza? You haven’t had that? PK reccomends you pair that with their sassy waitstaff and tremendous draft beers. Persephone’s new fave is the Kentucky Bourbon Barrel Ale. What more could you ask for, really? Maybe bar specials? Well, they have you covered there, love: 4 to 8 weekdays, half off drafts. Playlist included anything by Badly Drawn Boy, our waiter. Who makes tremendous beer recs. Thanks to Cronus and Rhea, Hades and I had a rare afternoon out. We chose Caffe Apropos. 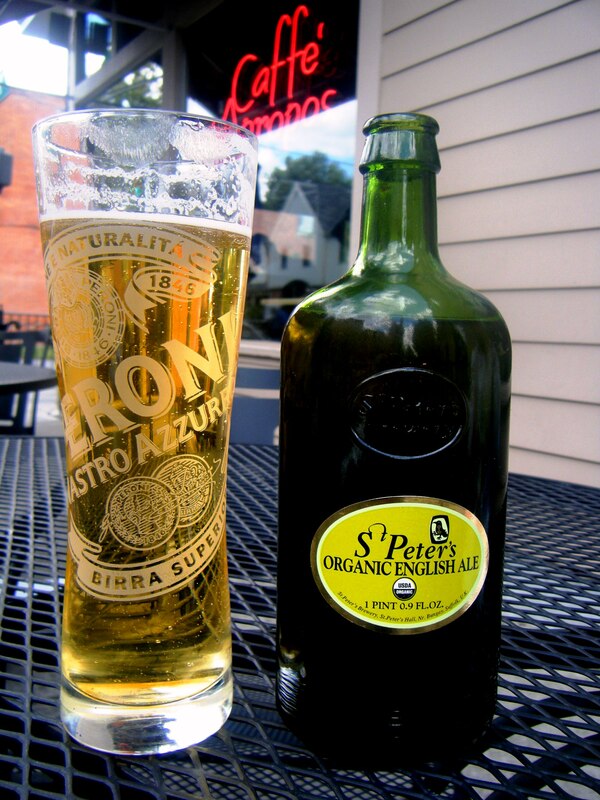 For Organic English Lagers and Nastro Azzurros. One of the finest locals you can patronize (3rd and Michigan) if you’re a C-Bus resident. And, to be honest, it never hurts to be carded and called “young lady” by the twenty-something barkeep. While you’re there, visit their small but hip – and nicely stocked – wine shop for a week night wine you can add (very conveniently) to your tab.